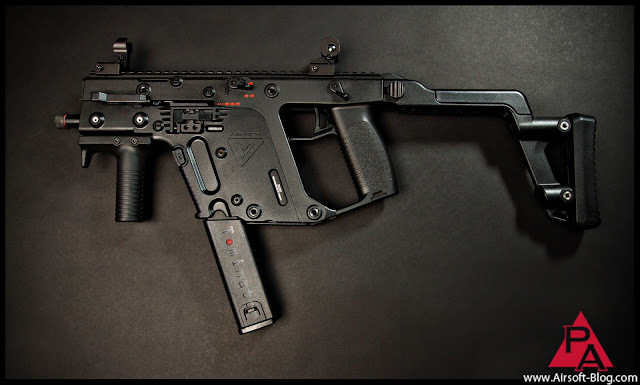 At long last, the KWA KRISS Vector Airsoft GBB submachine gun has found its way into my possession. It's been quite a journey to get to this point. I recall two years ago, being at Shot Show and getting word that there would be a prototype coming soon. Yes, it did take quite awhile for this sweet SWISS thing to make it into production, but I really think that KWA went all in on this one. It's a pretty impressive piece to say the very least and I think it was worth the wait. Ah yes. It seems like KWA always has an Ace up their sleeve. Last week, for those of you that didn't know, was one of my favorite events of the year: Shot Show 2013. It went down, as usual, in Las Vegas, Nevada, and while I was there, I stopped by the KWA booth to see what was new and exciting for 2013. Sure, they had some cool things at their booth. I came. I documented these things. I left, thinking I obtained all the info there was to know. Well, sure as I am bald, they threw a curve ball in the mix on Friday, the final day of the show. They made more announcements previously undisclosed to the general public or even whispered in the dark corridors behind the scenes. 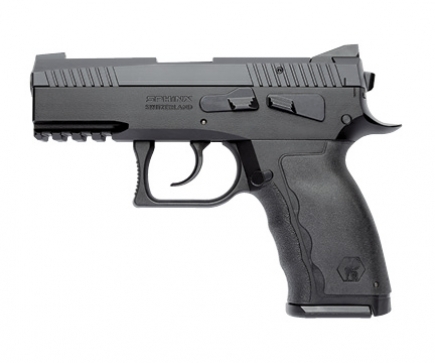 For starters, one of their more exciting pistols to be released (maybe) this year, is a licensed replica of the Sphinx SDP (Special Duty Pistol) Compact. 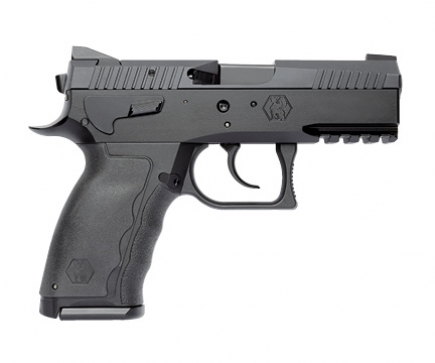 If you've ever had the luxury of shooting a Sphinx firearm, you'd know just how wonderful these handguns are. They're comfortable, accurate and easy to handle. I would imagine the KWA airsoft version will cover all those bases for a home run as well. 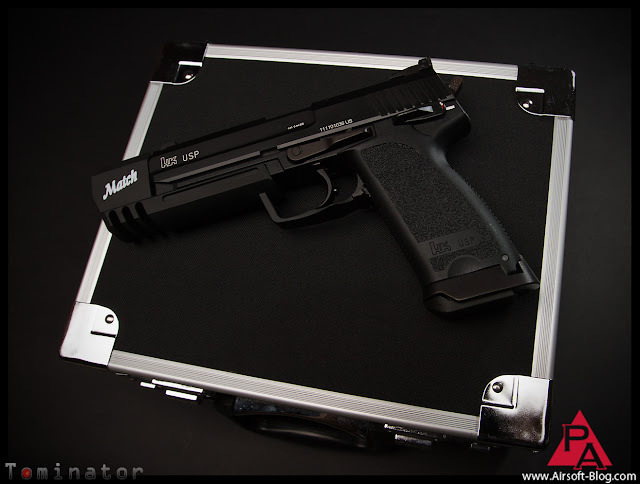 According to the copy supplied by KWA on their website, they're marketing this as the "airsoft training counterpart to the Sphinx SDP Compact." With a statement like that, I'd expect them to attempt to mimic the firearm in every way allowable, which, undoubtedly, will make for a great Airsoft gun. "The Sphinx SDP (Special Duty Pistol) Compact by KWA is the exclusive airsoft training counterpart to the Sphinx SDP Compact. The disassembly procedures, interchangeable grips, and standard fire controls found on the firearm are recreated. The Construction of the Sphinx SDP frame combines aluminum alloy and polymer for dubilty and weight savings." Some of you readers might be all current on all things Airsoft, so you may have already seen the news update on this particular gun from other channels who posted about it last week. So let's get to the newer stuff that wasn't really talked about during the show. 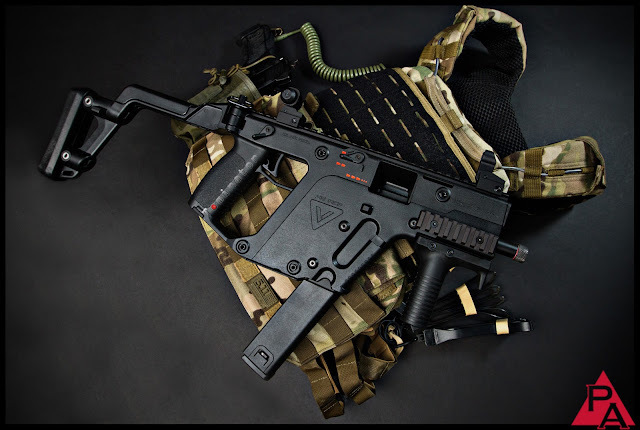 Just to give you a hint or two, there is a new brand license and something cool and KRISS Vector-related.